Canvas prints from any photo. 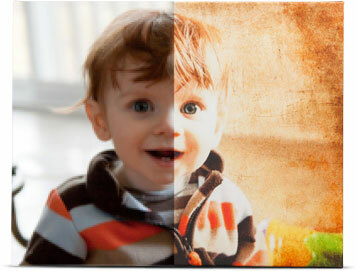 Photo canvas printing is just the beginning of what we offer at CanvasPop. We have a wide variety of additional options and services available to make your canvas prints really pop! Print any format at any resolution from virtually any source. Here's what really sets us apart. We allow you to grab any image from a variety of sources: your mobile photos, Instagram, Facebook or directly from your computer. We make it easy and fun. Let us take care of the magic. We guarantee it will turn out great! Need a little something extra to make your photo really shine? Our amazing filters and effects can transform any photo into a creation Warhol would love. Design services when you need them. 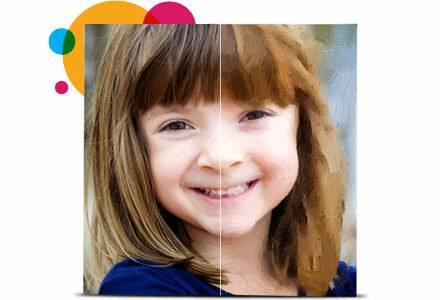 Our free PicturePerfect™ service will touch up your photo to ensure it looks its best on canvas. If you need a little extra help, our design services start from as low as $9.95 and can transform any photo into a work of art. Tons of layout and size options. We have thousands of layout and size options to fill any space. 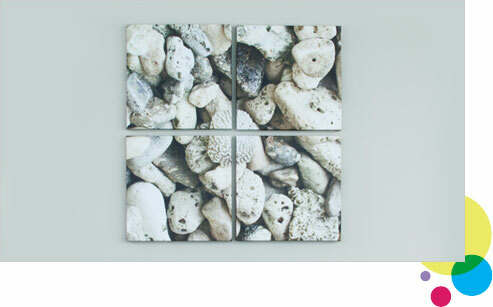 Check out our multi-panel options for an amazing look that can transform any photo from ordinary to extraordinary. Want to learn more about layout options? Check out our triptychs. Looking for options for really large photo installations? Why not try a photo wall or massive panorama. Looking for options for really large photo installations? Looking for options for really large photo installations? 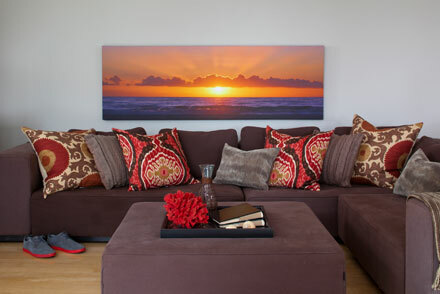 Why not try a photo wall or massive panoramic photo prints. Your mobile phone is often the best camera you have with you so that’s why we specialize in printing mobile photos. Even low resolution ones, from devices of any type. Print Instagram photos, Facebook Camera photos, iPhone photos on canvas — we’ve got you covered. The gift of art made easy. Giving a CanvasPop canvas print is really simple: you can upload your own images, grab them from your Instagram or Facebook feed (or theirs) or just get them an electronic gift card.